Can I Just Get a Retainer Instead of Braces? Dr. John Walker of Walker Orthodontics knows that treating serious orthodontic issues with a retainer instead of braces or Invisalign clear aligners is ill advised for patients who live in or work near Westminster, MA. Braces or Invisalign work over a defined course of treatment to optimally re-adjust your teeth. As an orthodontist in Westminister, MA, Dr. Walker knows a retainer would have to be worn consistently to work at keeping teeth straight. While getting a retainer instead of braces may work in some situations, Dr. Walker does not recommend patients to substitute one orthodontic treatment for another. Orthodontic treatment for patients with braces is a commitment of money, effort, and time. The reward of these commitments is a straight teeth, a more functional mouth and jaw, and a beautiful smile. Some patients may attempt ways to avoid the commitments that braces require and still get perfect teeth. One way people try to do this is by wearing only a retainer instead of braces to straighten their teeth. When Is a Retainer Indicated Instead of Braces? Retainers are a good substitute for braces when the issue is extremely minor. For instance, a retainer can be used effectively if the problem concerns only one or two teeth, if there is a slight gap between two teeth, or if one of the teeth is out of place. However, the retainer might have to be worn for a few years for the treatment to be permanent. When Is a Retainer NOT Indicated Instead of Braces? There are instances when a retainer should not be used as a substitute for traditional metal braces. For example, patients who have orthodontic issues involving more than one tooth such as overbites, under-bites, cross-bites, gaps between multiple teeth, or many crooked teeth). All of these orthodontic issues are treated by Dr. Walker using braces. Why Are Braces More Effective Than a Retainer? The material retainers are made of is not strong enough to shift and move the teeth. Orthodontic treatment like Invisalign clear aligners or traditional metal braces are better options. Retainers, as their name implies, are usually worn after treatment with either Invisalign or braces to retain the newly aligned position of the teeth. They are used to maintain straight teeth, not to make them straight. 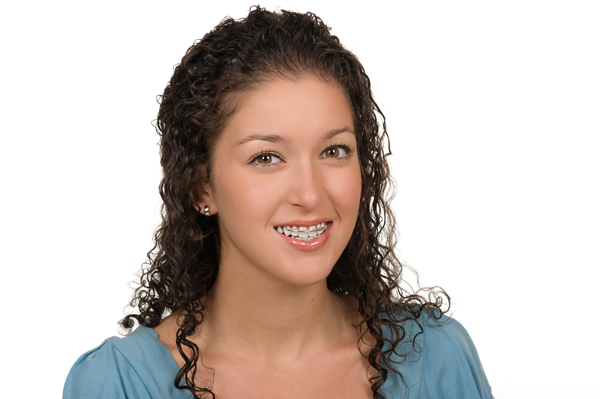 Traditional metal braces are not the only option for orthodontic patients living near Westminister, MA. Dr. Walker offers Invisalign clear aligners to his patients who want to avoid wearing metal brackets. Invisalign is clear and removable, just like a retainer. Invisalign offers the best of both approaches to orthodontic treatment with braces and retainers. It’s used by many patients who do not want the bulkiness of traditional braces, but need the permanent results that a retainer alone cannot deliver. After patients complete their course of treatment with Invisalign, they are often fitted with a clear retainer to keep their teeth intact. Braces are only one option for patients in the surrounding area of Westminister, MA with severe orthodontic treatment needs. Invisalign clear aligners may be the perfect solution that will correct a variety of orthodontic issues while being more comfortable and discreet for the patient. Both effectively treat severe orthodontic issues such as overbites, under-bites, cross-bites, gaps between multiple teeth, or crooked teeth.